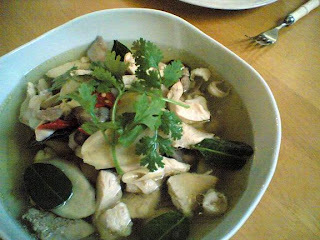 We all love “Tom Yum” but sometimes it can be very boring and uninspiring hearing about it all the time. As not being a fan of coconut milk. 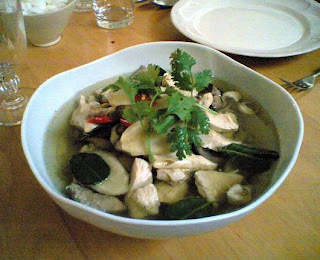 “Gai Tom Khing” seems to be a good option, besides “Tom Kah Gai” & “Tom Yum”, when we feel like we need a time off from those famous dishes. This recipe is originally from a Thai cookbook that I came across a few years back. Since then this particular dish has managed to find its way to become a regular dish on our dining table. • sprinkle with coriander leave & a few of kaffir lime leaves before serving.